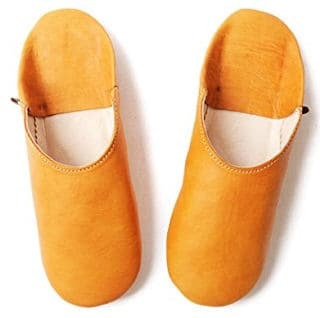 Moroccan or otherwise Babouche slippers are traditional Moroccan slippers that are mainly made by hand although there are also the modern Moroccan slippers made by machines. Still, the handmade Moroccan slippers are the ones that attract people’s interest the most when it comes to traditional Moroccan shoes. 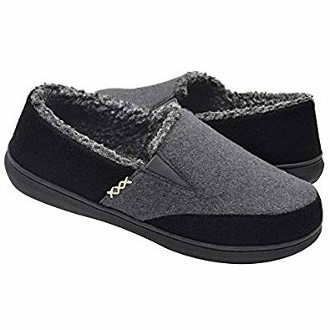 Before looking at some great Moroccan slippers for men and women reviews, let’s have a look at the advantages and disadvantages of this type of indoor shoes. They are very pretty and look elegant and stylish. 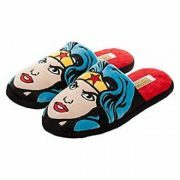 If you like ethnic slippers, Moroccan leather Babouche slippers are a great choice. They come in beautiful vibrant colours that some of them are plain and look very fashionable and others are beautifully embroidered with unique designs. 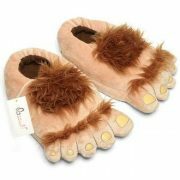 They are hand made from genuine sheepskin leather that is very smooth and soft. The embroidery is made using natural materials such as natural fiber which derives from cactus. 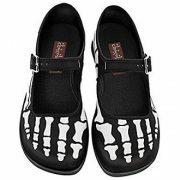 They are durable because they are well made and created from genuine leather. Finally, Morocco has a long history of traditional craftsmanship and leather tanning. 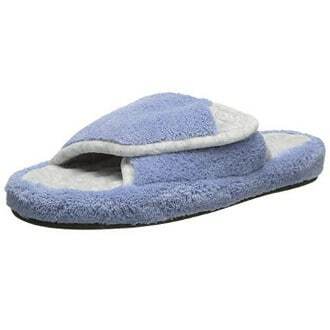 Moroccan slippers have no arch support or cushion in the sole. 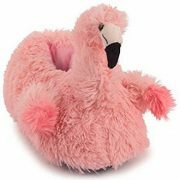 In fact, the sole of these slippers is stiff, which makes it an uncomfortable choice for people with foot problems such as plantar fasciitis, heel or foot pain, flat feet and more. 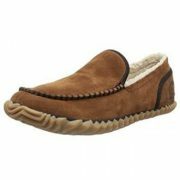 The whole shoe is made of leather so there is no rubber outsole, which can make this slipper unsuitable for outdoor use. 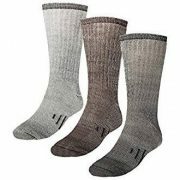 The lining is all leather, so there is no fuzzy warm material on the inside such as terry cloth cotton, faux fur, wool or others. They may not be so suitable for use on hardwood or tile floors but rather for carpet floors. 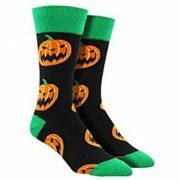 They may not be so suitable for cold months. 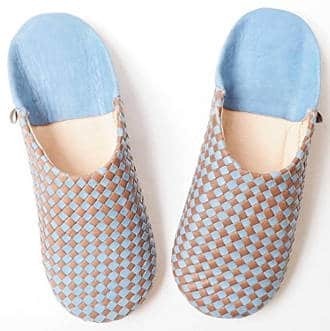 Babouche slippers are not cozy slippers but they are breathable since they are made of natural material. 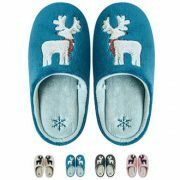 These Babouche sheepskin slippers come in 5 different designs and are beautifully embroidered with some really pretty details. 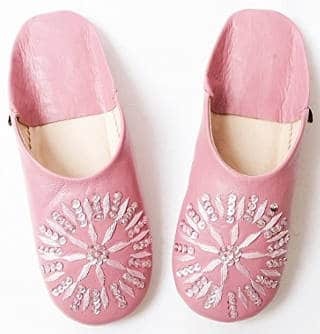 These Moroccan slides feature genuine leather lining and a leather sole while the upper is made of fabric and is embroidered using a natural fiber that derives from cactus and gives the shoe elegantly shinny looks and a silky feel to it. 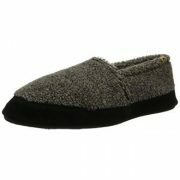 These Men’s Moroccan Slippers come in black and brown colour. They are hand made with genuine leather by craftsmen in the traditional way and have a leather sole as well, which makes them more suitable for indoor use. 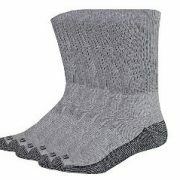 Users love the butter soft material, the sturdy construction and great colour. 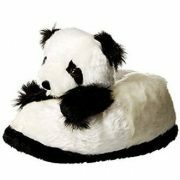 The only complaint is that the sizing is not so accurate and the slipper tends to run a bit small. These Babouche slides are available in several amazing colours that look really stylish. Personally, I love the yellow colour, the Camel and the Smoked Pearl, but the Lavender, black Sumikuro and white also look fantastic. This Moroccan footwear is all made by hand with genuine sheepskin leather that feels incredibly soft and smooth. Users love their babouche slippers and review that they are well made and that the leather feels very soft. 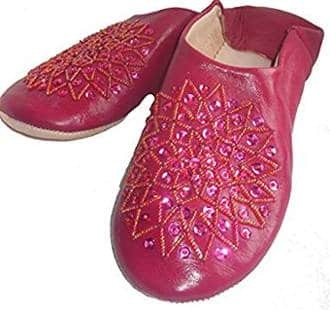 These genuine leather Moroccan slippers for women come in many beautiful colours but the sellers of this product note that the colours may be slightly different from the ones pictured due to the hand tanning and dying process. For example, the white may be creamy white in reality or the red may be closer to pinkish-red. This shoe is all leather and is richly embroidered on the top. These sheepskin slides are very pretty and elegant looking. 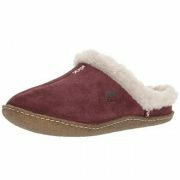 They come in seven very pretty colours and have eye catching embroidery on the upper. 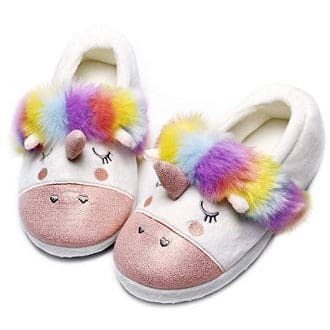 Users find them chic, comfy and great, but you need to be a bit careful when ordering the right size because, according to some users, the sizes are not so accurate. 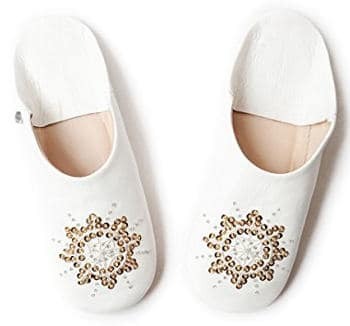 This white Moroccan slipper looks very cute and is all made of leather with a leather sole. It is also handmade and comes in sizes for women. 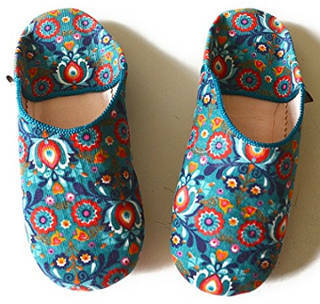 These unique looking Moroccan slippers come in two different designs and are available in sizes for both men and women. 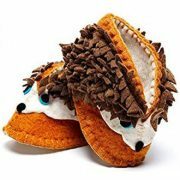 They are handmade with genuine sheepskin leather and the embroidery is done using Sabra, a natural fiber that comes from cactus. 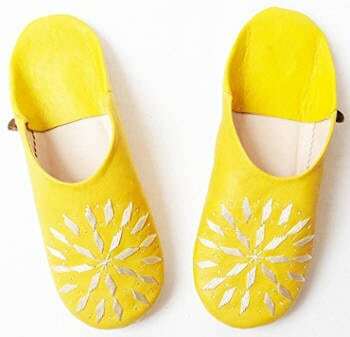 Another design of Moroccan slippers offered by Dear Morocco, this embroidered shoe comes in a vibrant yellow colour as well as a brownish colour. Users like the colour, the quality and the stitching of these babouches. 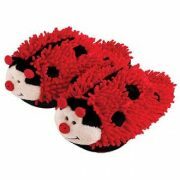 They are easy to slip on and off, and so soft that they feel like they can be worn barefoot. Overall, they are roomy. Finally, they are comfy but not thick enough to wear outdoors. 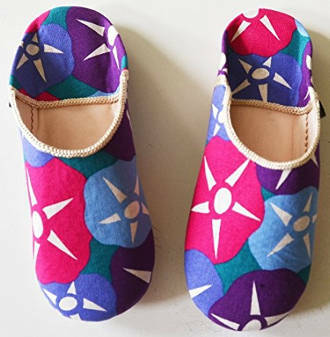 These Babouches slippers come in two beautiful designs that are inspired by Japanese prints. They are genuine leather as always and hand made. Users love the design and find them comfy and elegant. 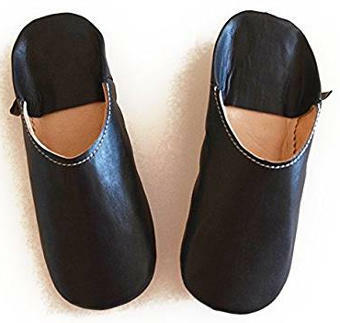 All in all, if you want a 100% genuine leather flat slipper with ethnic touches that looks stylish and elegant, the above reviews of some really pretty Moroccan slippers for men and women make great gifts for you or any other person in your shopping list.